I never believed the articles about Facebook not being popular with teenagers until I saw the the sign-up sheets below sitting on our kitchen table. Quick background. One of my daughters is co-president the largest community service club at Menlo-Atherton High School. For the last four years they have used Facebook to organize their events. Last Friday was “Club Rush” where all the clubs put out card tables and interested students sign up for the club. The good news for the community is 76 new students signed up. The bad news for Facebook is only 32 of those (42%) have Facebook. 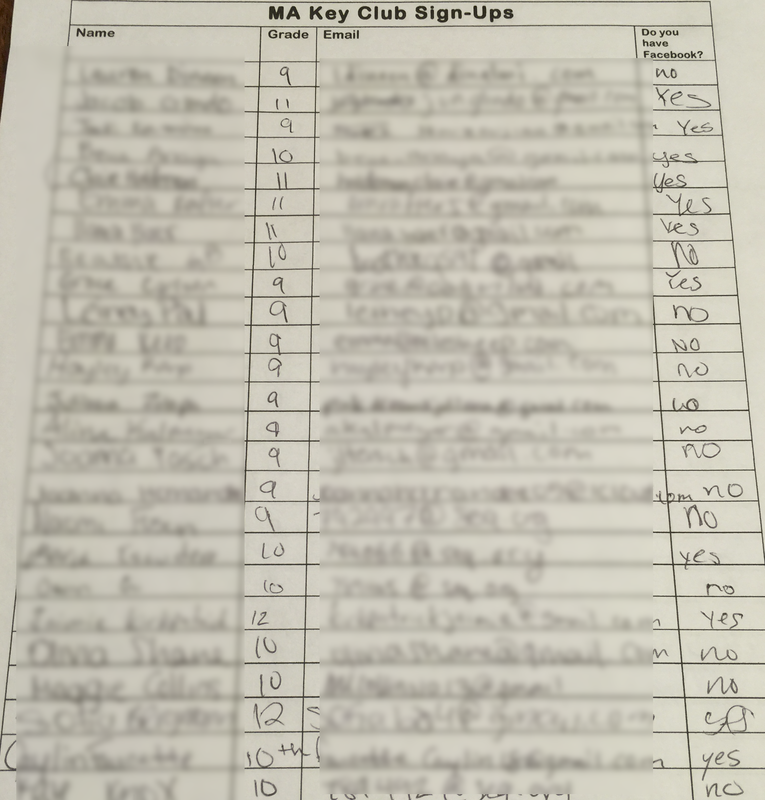 Of the 29 Freshman who signed up only 7 (24%) have Facebook. Of course it is hard to draw conclusions from such a small data set, but keep in mind that Menlo-Atherton is the closest major high school to the Facebook campus. Facebook even donated their new computer lab. These are among the most technologically sophisticated teenagers in the world. So how do the children of Silicon Valley want to be contacted? Email.